I didn’t get as much sewing done as I hoped I would. I needed to straighten up a little first. That is always a bad idea because I get distracted by things I find. I bought the book “Patchwork Pantry” by Suzette Halferty & Carol Porter ages ago. When I opened it the binding cracked. Maybe I can get it spiral bound at Kinkos to fix it. 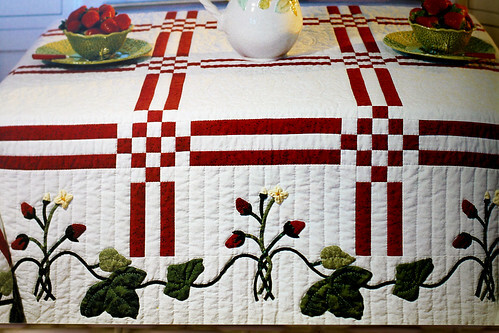 It has lovely patterns for quilts and recipes to go along with each design. Things like flavored vinegars and butters. I have way too many distracting books. At least I can share a few photos here. Here are two quilts I would love to make. Most of the flowers in my yard dried up and are not worth photographing. 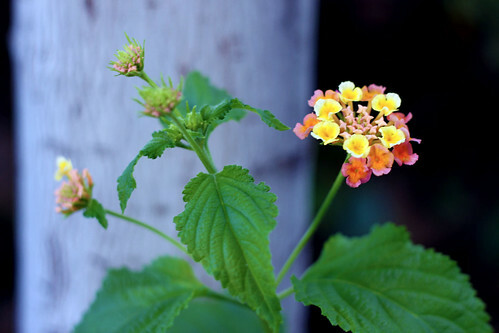 I saw this lantana finally blooming out by the tree. Hopefully the drought will end this winter. 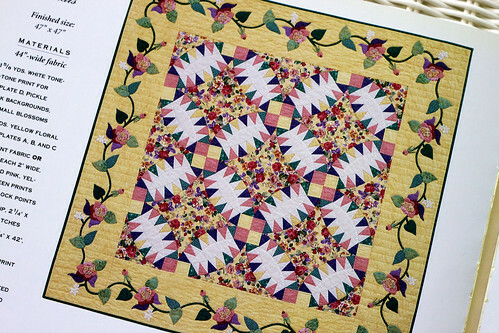 This entry was posted on Tuesday, September 8th, 2009 at 3:00 am and is filed under Quilting. Tagged: Quilt. You can feed this entry. You can leave a response, or trackback from your own site.